When you have penthouse apartment space is at a premium – it requires a unique design that accounts for the historic location, the style of the client and the home. This design by Kev Quelch from Inovasis Design, blends everything brilliantly. 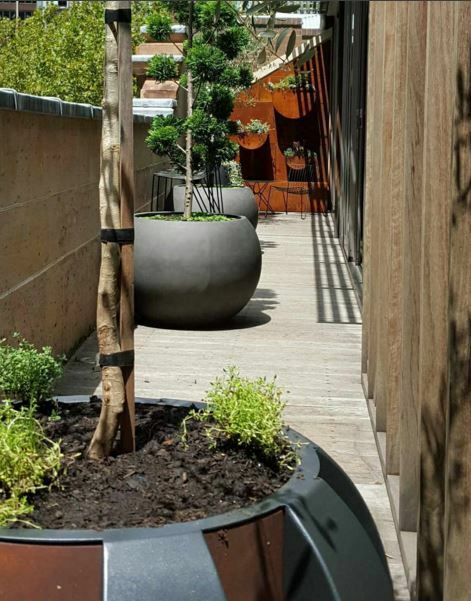 The feature Corten planter wall follows the shape of the dividing wall with zinc capping and aged sandstone. 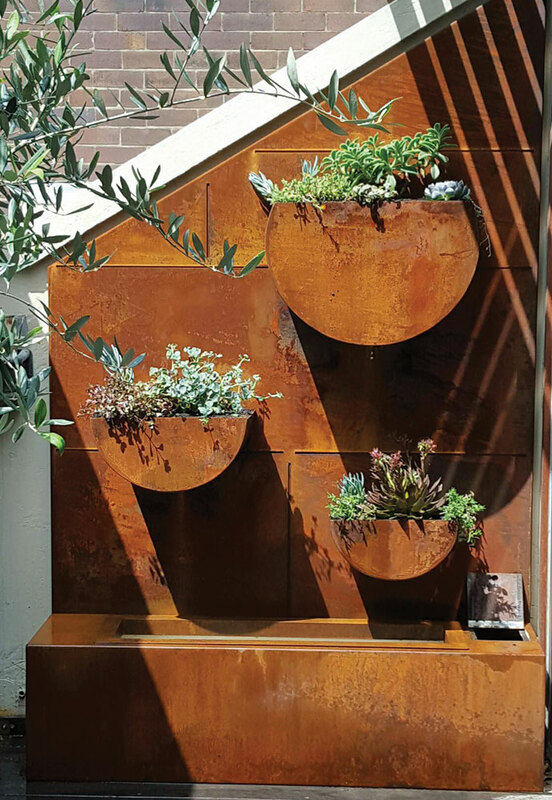 PO Box Designs had the pleasure of custom building the corten planter wall, with water feature at the base and custom aluminium trough, along with the 3 custom made planters. 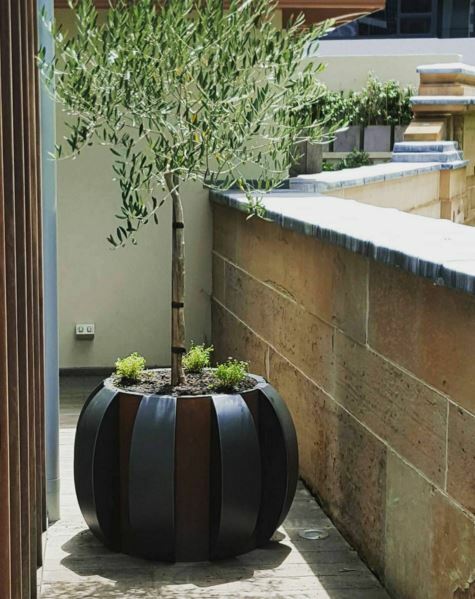 The Cog planter features powdercoated outside blades with a central corten cylinder which contrasts beautifully with the zinc surroundings and corten features.